Trying to figure out what an ornament looks like? Download these pages of samples. 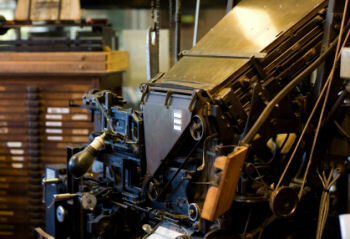 Over 5000 fonts of Linotype and Intertype mats - we also carry Linotype parts, supplies and casters. Everything is subject to prior sale. Please call, email or fax your list of items that you desire and we will quote you a package price.